Syntax highlighting. Makes code MUCH more readable! Intellisense (Auto-completion). Provides suggestions to complete cmdlet names, assist with available parameter options for a cmdlet, or show available variables or object properties. This works in both the editor pane as well as the console pane. Tabbed interface. Have multiple script files open at one time within the same window. I usually have one tab containing my master script, another tab for writing and testing a particular section of the script, and potentially another scratch tab for just trying stuff out. Selective execution. Taking a page from SQL Management Studio, you can highlight a selection of continuous lines and execute them independently from the rest of the script. This is useful if you just want to test one line of code, or re-load a variable with a different value. Debugging. Coupled with the cmdlet Set-PSBreakpoint, walk through your script for in-depth troubleshooting and analysis. Code folding. Collapse functions, comment sections, and regions to make a script easier to read. Script Browser – search for over 9000 script samples in the TechNet Script Center. Script Analyzer – checks the quality of Windows PowerShell code by running a set of rules based on PowerShell best practices identified by PowerShell Team and the community. Module Browser -find, install, and publish modules through the PowerShell Gallery. Built on top of PowerShellGet. The ISE has always received an update in tandem with a new version of PowerShell and Windows Management Framework, but that may be changing. 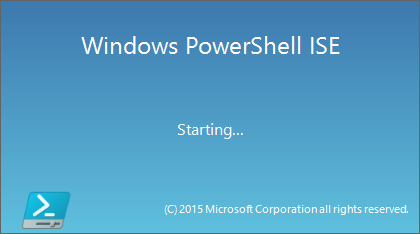 A recent announcement of a Windows PowerShell ISE preview edition promising to add features and functionality at a faster pace may change how ISE is delivered. Find Windows PowerShell ISE in your start menu and pin it to Start, pin it to your taskbar, put a shortcut on your desktop, whatever works for you.